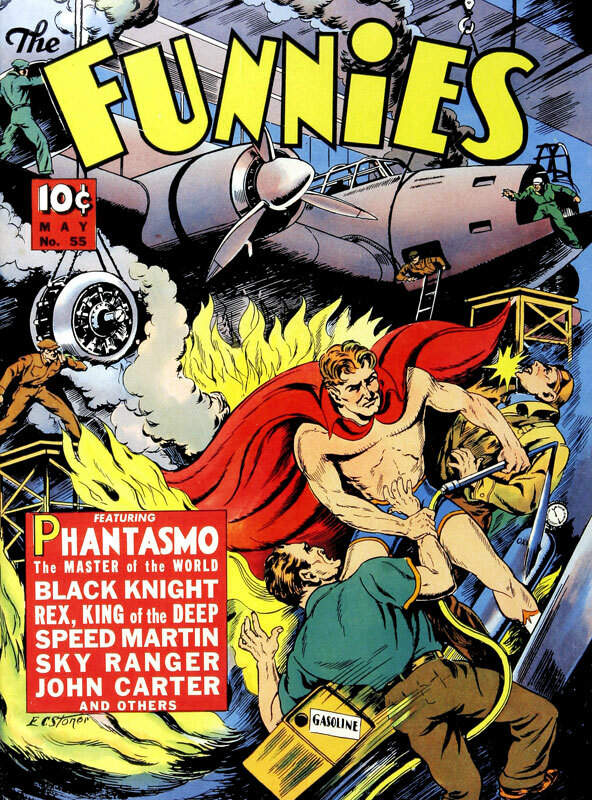 Golden Age Heroes: PHANTASMO: The Master of the World! They just don't design super hero costumes like they used to!! Here's Phantasmo! 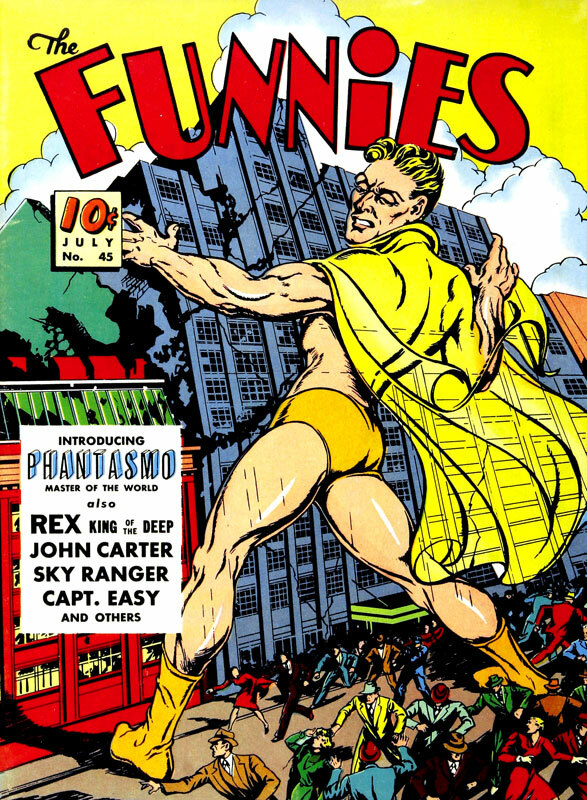 Who premiered in THE FUNNIES #45 (July 1940), from Dell Comics. History: Having spent 25 years in Tibet as a student of the Grand High Lamas, an unidentified American returned home armed with their magical knowledge to fight crime. 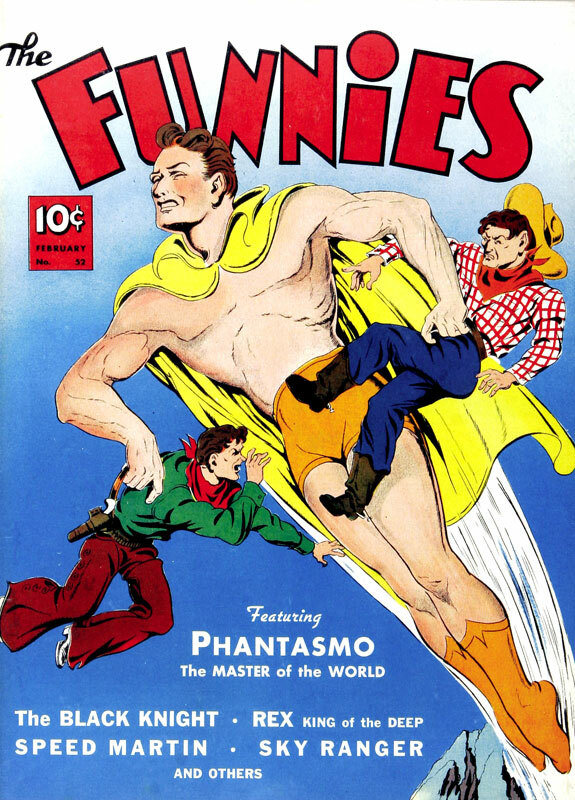 Adopting the alias Phil Anson, he would separate his spirit from his body to become Phantasmo, Master of the World; since his mortal form remained his main vulnerability, he hired bellhop Whizzer McGee as his bodyguard. I love the cover to #48. How many hands did this have to pass through that nobody caught the coloring "error!?" "Oh, he's nekkid." "That's alright." LOL! On the cover to #52, the cowboy in green looks like he's jonesin' to dive into the prize package! Alas, the poor baddie on #55 is being denied the phantastic Phantasmo phall...oh, sorry! But the poor guy -- he really looks upset! !